There are plenty of rumors what Nokia is gonna to show us in Barcelona at MWC. One of which is the Android powered Nokia X. In case you don’t wanna miss a bit you should watch Nokia’s live webcast over at Nokia Conversations. The Webcast starts Monday, February 24, 2014, 8:00 am CET . 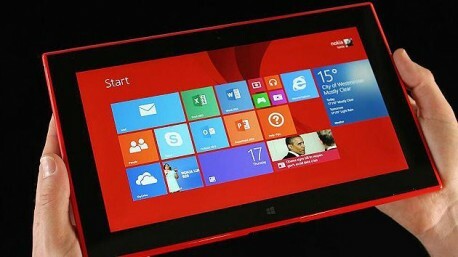 In the USA Nokia announced a new Windows Phone 8 device exclusively for Verizon Wireless. The Nokia Lumia Icon has a 5″ state-of-the-art 1080p full HD screen and a metal construction that gives the device a distinctive look, making this one of 2014’s most anticipated new devices. On its back it feature a 20-megapixel PureView camera with Carl Zeiss optics. Morover it comes withfour lossless microphones that capture omnidirectional audio in full stereo. This means you’ll record video exactly how you remember it, thanks to our high-performance digital mics, noise reduction and those magical software algorithms. The Nokia Lumia Icon will go on sale on Thursday, February 20 at your local Verizon Wireless store and online and VerizonWireless.com for a price of $199.99 with a two-year activation. Microsoft Stores are taking pre-orders for Lumia Icon and offering a free Nokia Wireless Charging accessory for those that purchase before March 16, 2014. In April Microsoft will release the latest version of it’s Windows Phone Operating System – Windows Phone 8.1. Many false screenshots and videos have been pubilshed the last days and weeks. But now WPbar.cn leaked the above screenshot and stated that it is real. What you can see is that you can set separate volume controls with WP 8.1 for ringtones, media and apps. This is a feature almost every user have been clamoring for so long. For me, this and a proper notification center (like iOS) are the features I am most looking for. Be sure to check the Windows Phone Store each Thursday for new Red Stripe Deals. Ali over from My Nokia Blog got his hands on Nokia’s first tablet – the Nokia Lumia 2520. In his review he takes a look at the hardware as well as the software of the tablet. He sums up that “The Lumia 2520 is a great tablet, and Nokia got a lot of things right on their first go, what little things that you can say are “Wrong” are merely annoyances rather than severe flaws”. Jump over for the full review.